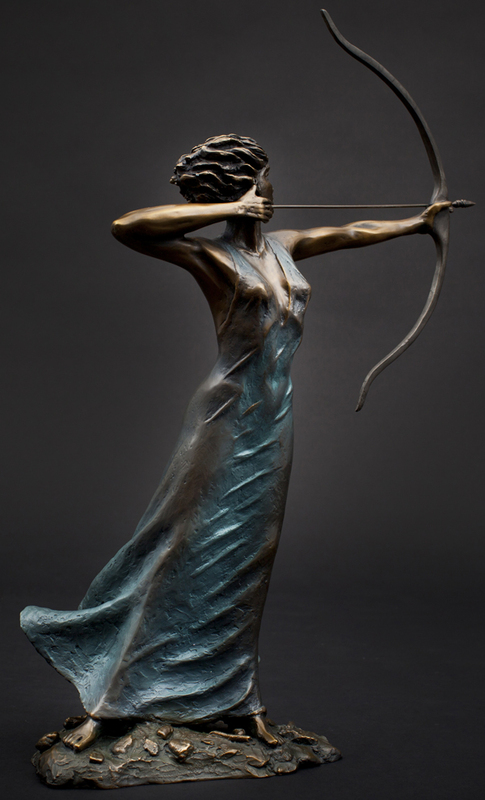 Artemis was commissioned by a company in Columbus, OH. 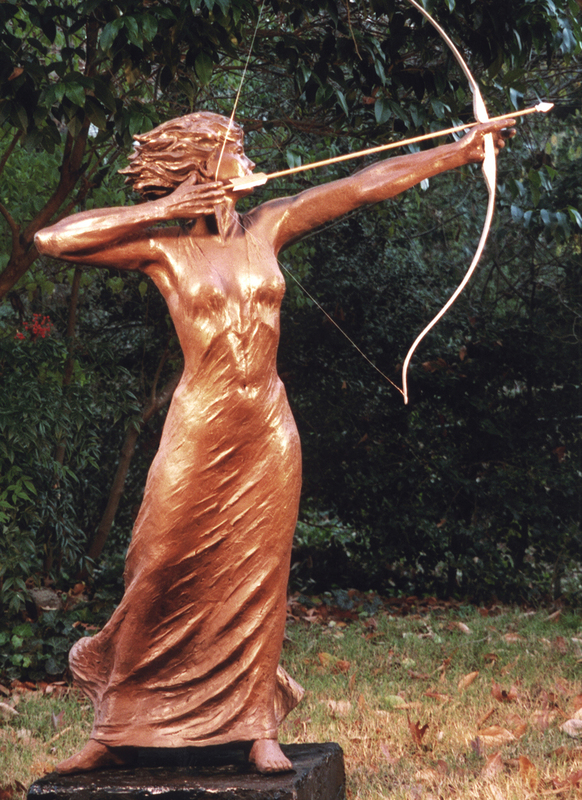 The company described themselves as creative, passionate, independent, challenging the normal boundary standards – the qualities of Artemis. 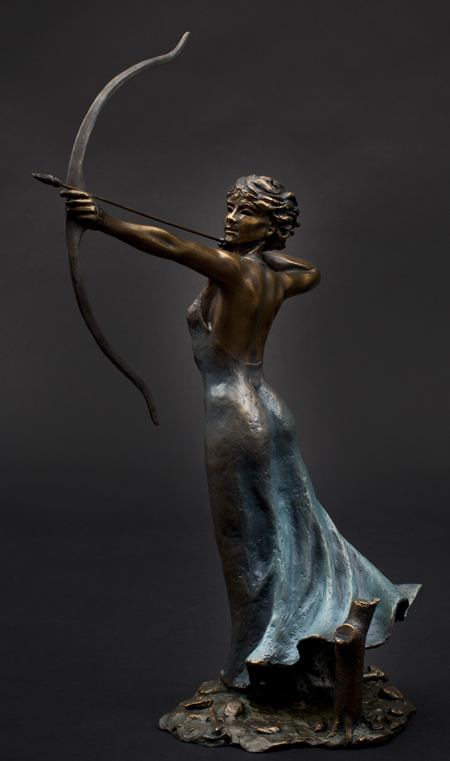 In my original interpretation of Artemis a draped female figure was used, with a muscular, graceful body, bow poised for a clear shot, face and aim slightly upward-skyward but clearly focused on the target. Her back is arched back more for higher focus, but she is flat-footed, well grounded, ready to fire with the silver tip arrow. 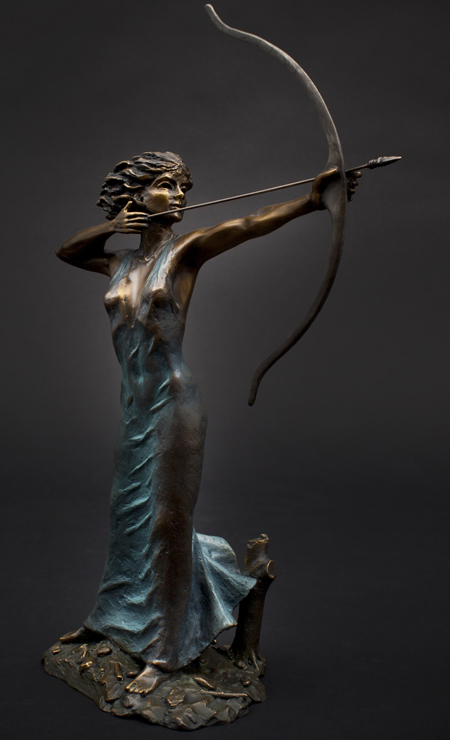 Many years after the commission was completed I decided to create a 12.5 inch high version of Artemis, but elongated the body slightly to make it more graceful. As you can see I used two patinas to accent the skin, visible through the clothing. I have not a determined a price for this sculpture yet, but if interested, please contact me.